1: L-R: Annie Schorbahn, Efrat Livny, Lannia Stenz, Mayor Gurdip Brar, Van Nut, Mike Shea & Diana Decker; 2. Helen Lambron; 3.Stenz & Scott Ducke ; 4. Shirley Merker. 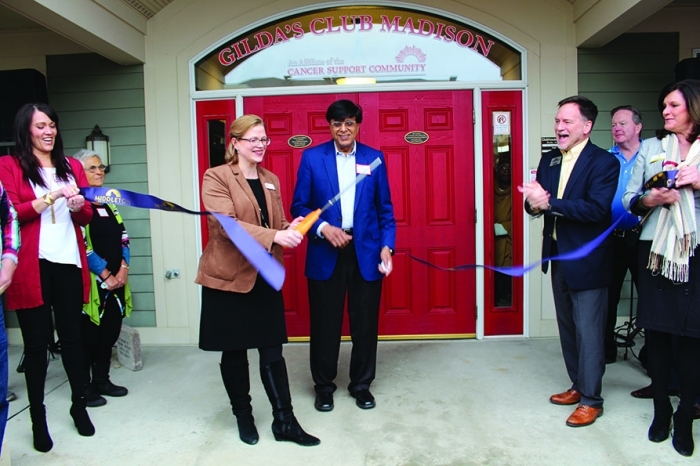 The facility held a ribbon cutting at the grand opening, and Middleton Mayor Gurdip Brar praised the facility for offering a place for cancer patients to feel welcome. “Gilda’s Club is like a home and the people here like a family,” Brar told the crowd that gathered outside the building. Van Nutt, Middleton Chamber director, joked that the Chamber had gone through a year’s worth of ribbon recently, trying to keep up with all the re-openings after the flood. 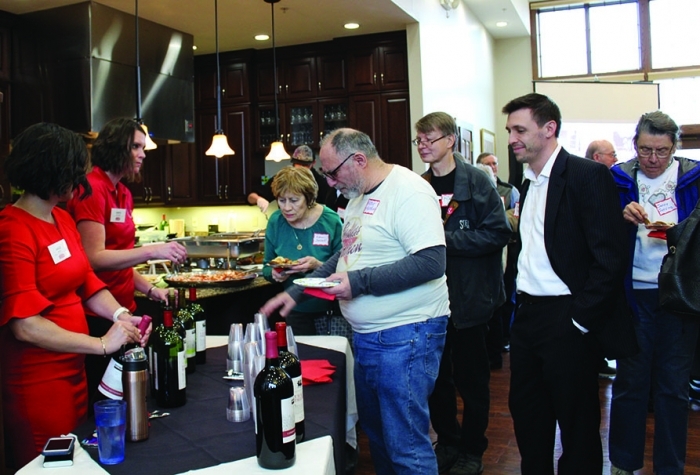 As guests sipped wine and enjoyed snacks catered by local businesses, Lannia Stenz, executive director and CEO of Gilda’s Club, addressed the group and thanked them for their continued support. “I am deeply humbled and honored by the by the response for our call for help last August. All of the people in this clubhouse helped us not face this tragedy alone,” she said. 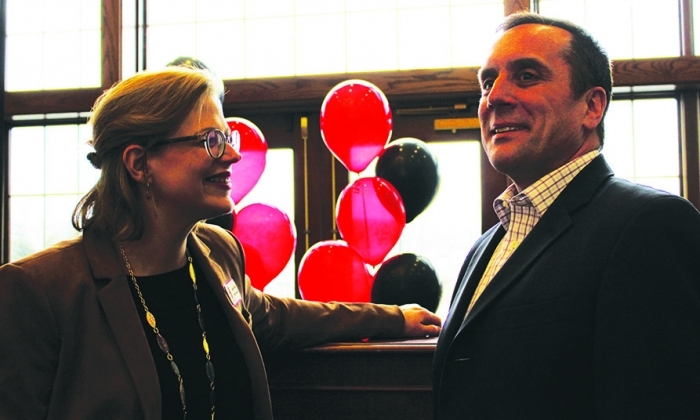 “From those first days, I never doubted that our community would pull together. She went on to praise the volunteers that helped remove the debris, the board for connect the facility with resources, the contractor for quickly completing the project and the staff for their leadership and drive. Stenz also thanked those that contributed financially to the flood recovery and said employees at ETC raised funds for employees impacted by the fund and they donated $55,000 to the club. In addition, board member Joyce Siefering offered up a $25,000 matching donation. Gilda’s club also received many in-kind donations from community members. “We get by with a little help from our friends, and I am grateful for those friends,” Stetz added. Ducke said he was amazed at how quickly the facility recovered after the extensive flood damage. Water in the creek behind the building was on the rise that morning and Ducke said it was cause for concern. “When Lannia called and asked about sandbags today, I thought, ‘Oh, lord, not tonight,’” Ducke joked. Helen Lambron, a client at Gilda’s then spoke about what Gilda’s Club had come to mean to her. The Milwaukee woman said that when she asked if she could make the hour and 45-minute trip to come to Gilda’s, she was met with open arms. 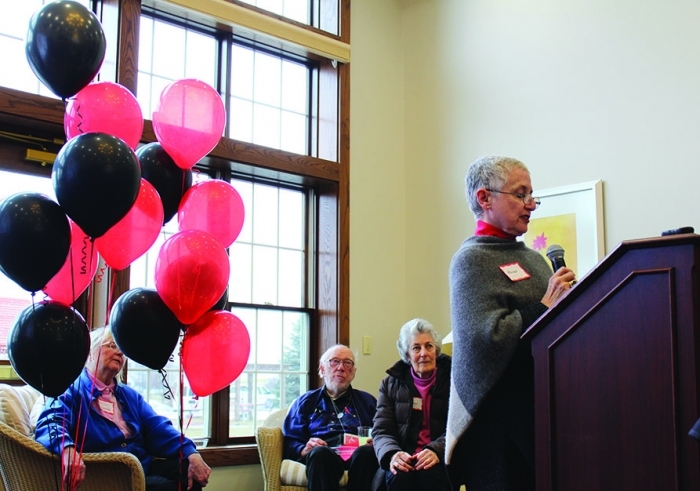 “I was, I am, and I will forever be grateful for walking through Gilda’s red doors,” she said, noting that the club is welcoming to anyone of any age with any diagnosis. “Here you feel like a person, not a patient,” Lambron added. “They rock you in a world of support. Now that the clubhouse is open again, Stenz is looking toward the future and fundraising. Upcoming events include the annual Backyard BBQ, and a new event, Over the Edge Urban Rappelling, both in June. 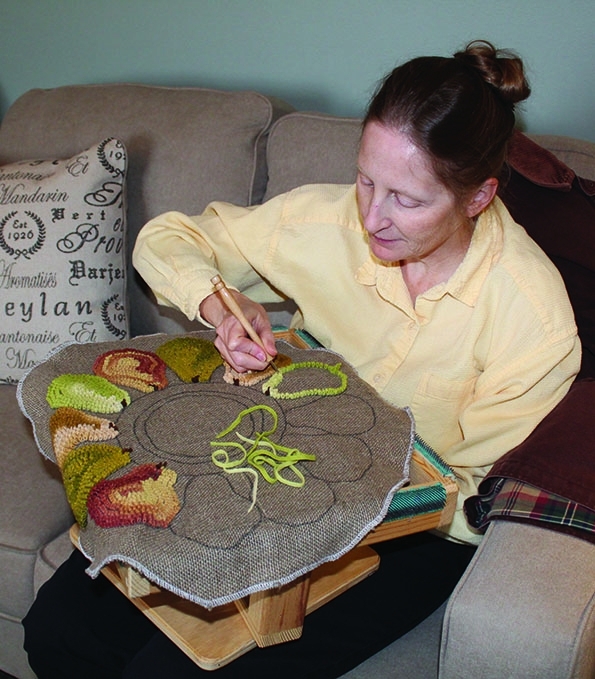 For more information about Gilda’s Club, visit gildasclubmadison.org.